Cancer is a serious public health concern with well over one million new diagnoses annually in the US alone. Cancer kills one in four Americans, and is second only to cardiovascular disease as the most common cause of death. Treatment for most cancers is insufficient despite early detection methods. As a result, there is an urgent need for novel anti-cancer agents. Biomodels provides cost-effective outsourcing for a wide spectrum of in vivo and in vitro preclinical oncology models, designed specifically to enable the successful translation of novel anticancer drugs, biologics and devices into human clinical trials. As members of the American Association for Cancer Research (AACR), our Oncology Group has presented their own work at AACR-sponsored conferences, published in top journals, and have made significant contributions to translational cancer research. Our uniquely personal approach to our clients’ needs recognizes that the goals of different companies of various sizes and in different stages are not the same. Our focus on providing clinically recapitulative models comes with significant experience and validation data in including co-modeling of clinical chemo/radio/immunotherapy standards of care as benchmarks or as combination therapies with new potential therapeutics. Syngeneic models provide the advantage of studying the interaction between the immune system and the tumor because the cells are from the same species as the host. Biomodels regularly conducts a wide spectrum of subcutaneous and orthotopic syngeneic models, co-modeled with common checkpoint inhibitor mAb therapies, and translatable endpoints for immunotherapies, such as mAb therapies, cell-based therapies, vaccination therapies etc. 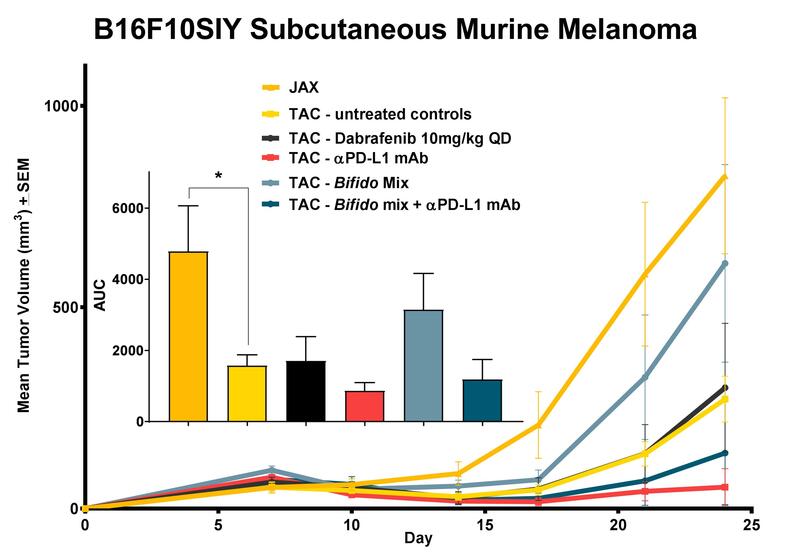 Additionally, Biomodels’ germ-free/gnotobiotic facility and enhanced handling protocols can be used to validate novel immunotherapies that work via modulation of commensal microbiota. Finally, Biomodels has significant expertise in many common ex-vivo immune assays including Immunophenotyping of tumor-infiltration/systemic leukocyte populations, MLR assays, multiplex ELISAs, histology, and a variety of biomarker analyses. 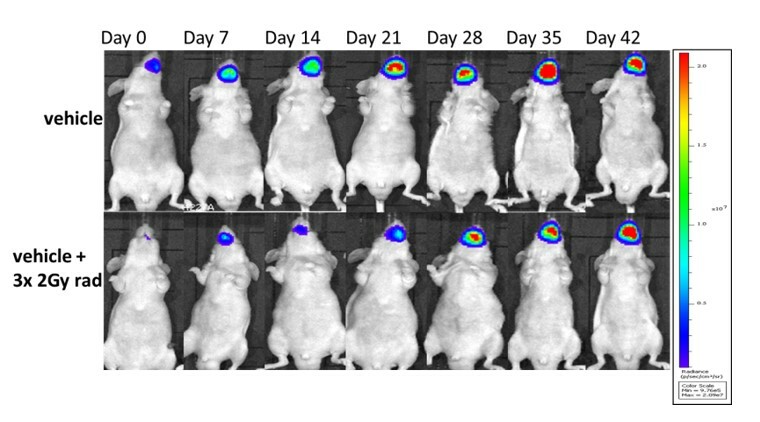 Subcutaneous injection of tumor cells in mice and rats offers a relatively simple and efficient tumor model system to test the efficacy of potential therapeutics for the treatment of cancer. Xenograft models are additionally useful in addressing the presence of drug-related toxicities. We offer a wide variety of classical and patient derived (PDX) tumor cell lines which can be studied as xenografts in both mice and rats. Experimental endpoints for xenograft studies include: tumor volume, histology, cytokine induction, protein, and RNA expression. Various humanized xenograft models are also available to serve therapeutic paradigms that rely on the interplay of human tissues/systems/genetics with human tumors in a murine model. 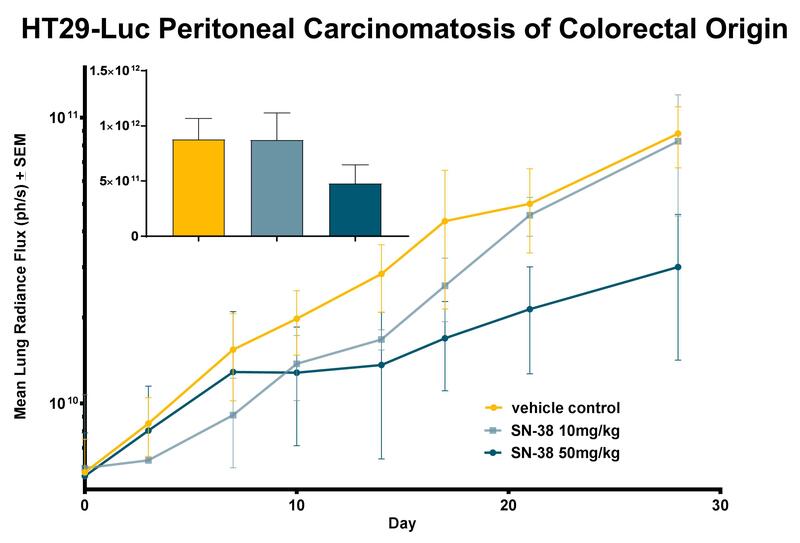 Subcutaneous xenograft models of cancer can be useful in evaluating the potential of a novel therapy; however, many aspects of tumor growth and dissemination are more accurately modeled following implantation into the corresponding tissue of origin, or into tissue corresponding to a frequent site of metastatic dissemination. For these reasons, orthotopic/heterotopic models tend to be more clinically relevant and better predictors of drug efficacy. 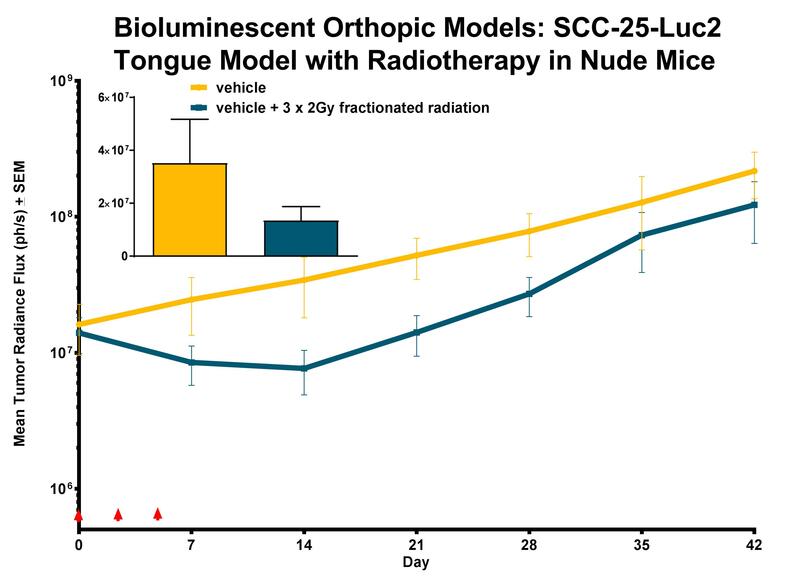 Biomodels has substantial expertise in orthotopic implantation and tumor growth and dissemination following tumor cell inoculation into a large number of orthotopic and heterotopic tissue contexts, including those that assess therapies targeting the role of non-transformed tumor associated stromal cells. These efforts are aided by our noninvasive in-life imaging capabilities using the IVIS Lumina III system and our abilities to transduce cell lines to express bioluminescent/fluorescent reporters. Treatments: Chemotherapies, Radiotherapies, Targeted therapies. Metastatic dissemination of cancer cells from a primary tumor to new organs is the primary cause of cancer-related mortality. While recent research has elucidated metastatic mechanisms, exposing new potential targets and intervention strategies, novel therapies remain desperately needed for advanced stage metastatic cancers. 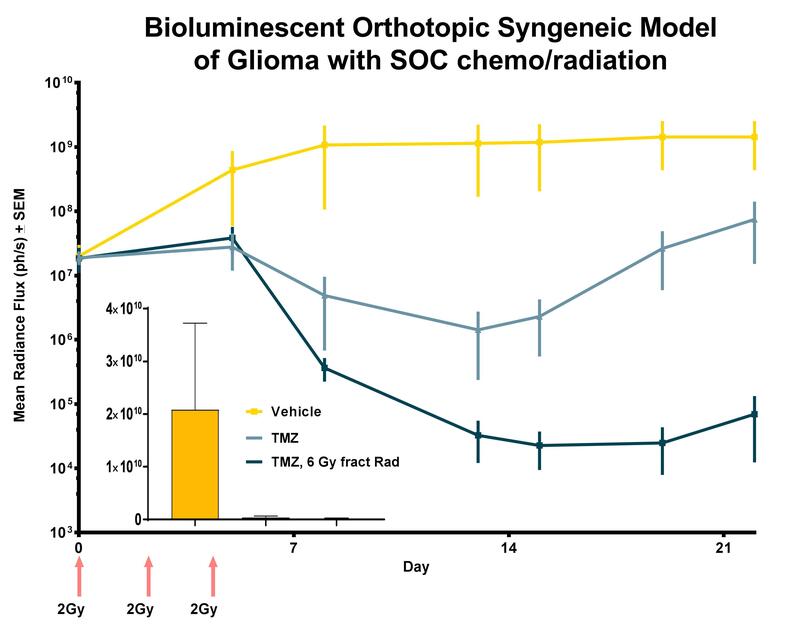 Newer models, including those utilizing metastatic tumor cells stably expressing bioluminescent or fluorescent reporters and seeded at the orthotopic site allow for high resolution tracking of metastasis as a quantifiable readout in a mechanistically relevant context. Patient-derived xenograft are recently derived from patients and are propagated exclusively in-vivo, preserving many characteristics of the patient tumor including heterogeneity, copy number, gene expression and histological profiles. 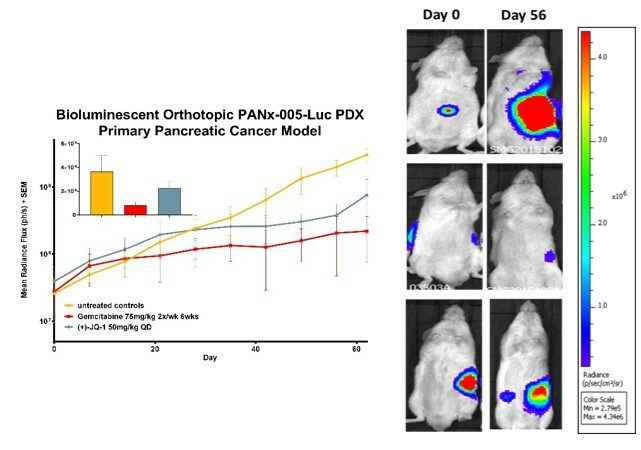 For these reasons, PDX models are considered to be more accurate models than traditional cancer cell lines grown in monolayers on plastic. PDX lines are well characterized and additional patient information is also often available. PDX lines transduced in suspension with bioluminescent reporters allow for in-life tracking tumor growth and dissemination from accurate orthotopic contexts. Commensal or pathogenic microbes function in close association with our immune system and are increasingly appreciated as important mediators of antitumor immunity and response to immunomodulatory cancer treatment modalities. Germ-free, gnotobiotic or specific-pathogen free oncology models provide elegant systems for efficacy testing of novel cancer therapies that function via rational modulation of the microbiome. In our primary screening program, compounds can be quickly tested for their ability to inhibit tumor growth and invasive migration in cultured cells. Biomodels can also examine the impact of test compounds on tumorspheres/colony formation, co-modeling with tumor stroma and other tissues relevant to tumor growth and dissemination. We are equipped with cell separation/FACS capabilities for further analysis of cell populations and drug response.